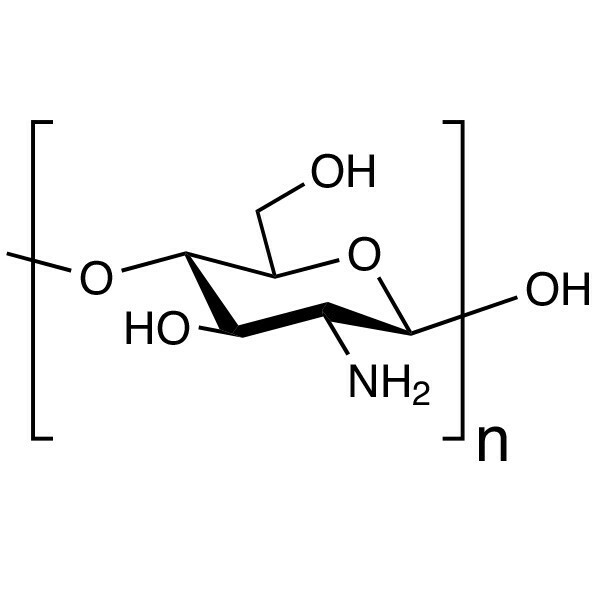 Chitosan, Purified Powder MW ~15,000 | Polysciences, Inc.
Polysciences' Chitosan, poly(D-glucosamine), is a highly pure multifunctional cationic polymer prepared by deacetylation of chitin. It is odorless and colorless product with minimum 85% degree of deacetylation. Chitosan has great potential in biomedical applications due to its excellent non-cytotoxicity profile, biodegradability, biocompatibility, non-allergenicity, mucoadhesive property and ease of modification. It is soluble in water at low (4-6) pH and variety of acids, but insoluble at neutral and alkaline pH values. dilute organic and inorganic acids.